The FFUN Buying Experience is what sets us apart from other dealerships. FFUN is FIRST – First in Customer Service. First in Selection. First in Unsurpassable Service. 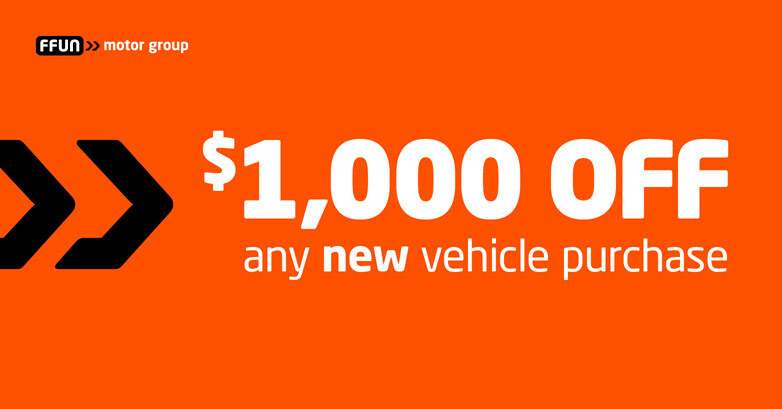 First in offering you a great deal at any of our FFUN Motor Group Dealerships. FFUN is FAST – Select your vehicle, select your payment, be approved. You decided to buy a new vehicle – we decided to make it easy for you. FFUN is FRIENDLY – Be greeted with a smile as soon as you step on the lot. Experience the energy and the welcoming atmosphere. We can’t wait to meet you! FFUN is FAIR – Our vehicles are at market value – this means you get the vehicle you want at a fair price. We provide all information up front so you can feel comfortable and confident you’re getting the best deal. FFUN is an ATTITUDE – our attitude! An attitude that resonates throughout our businesses and our people. Experience the FFUN attitude at any of our FFUN Motor Group Dealerships: feel the energy our staff delivers. FFUN is how we do business. It’s our attitude. And it’s how we deliver the FFUN Buying Experience to you.